Way back in August 2014, BeerTengoku visited the Kiuchi Brewery in Ibaraki and were told about their plans for Hitachino Brewing Lab, though told to keep quiet. We’d done so well in that respect we had almost forgotten about the place until an email came through telling us about it, and ever since that email, we had been trying to find time to go up to Akihabara for some beers. Akihabara isn’t our favourite place in Tokyo (well, it ranks above Roppongi), but needs must and needs had to be fulfilled. Some of the beers are on all of the time, all of the beers are on some of the time. Hitachino Brewing Lab is located about a five-minute walk from Akihabara station, and luckily, you can avoid the maid cafes and other dubious places in the area. From the outside, Hitachino Brewing Lab doesn’t stand out from the other shops under the arches of the JR Chuo main line but it’s there at the closest end to the Chuo dori bridge, just set off behind the main entrance. We were waiting for a friend to turn up and shouted his name though he couldn’t pinpoint where the sound had come from. Once the sun goes down behind these buildings, go inside if you can. It gets cold. Thinking that since it was a weekday and had just gone 3pm, we (mistakenly) thought that it wouldn’t be busy and we could get a table for five. Alas, no. The inside of Hitachino Brewing Lab is pretty small and we were told we’d have to sit outside on the sofa or some wooden barrels with blankets. Romantic when the sun is out, but bloody cold when the wind picks up and the sun goes behind the monstrous towers of Aki One and the other skyscrapers. A couple of special beers on at Hitachino Brewing Lab. Hitachino Nest Oak Barrel – sour and oakey. A unique twist. Saison Du Japan – fruity and refreshing. Hitachino Nest Cider – we know, not a beer but tasted like apple juice. Hitachino Brewing Lab unsurprisingly only sells Hitachino Nest beers, and even then the lineup changes from day-to-day, and is also dependent on what is being brewed in the lab. 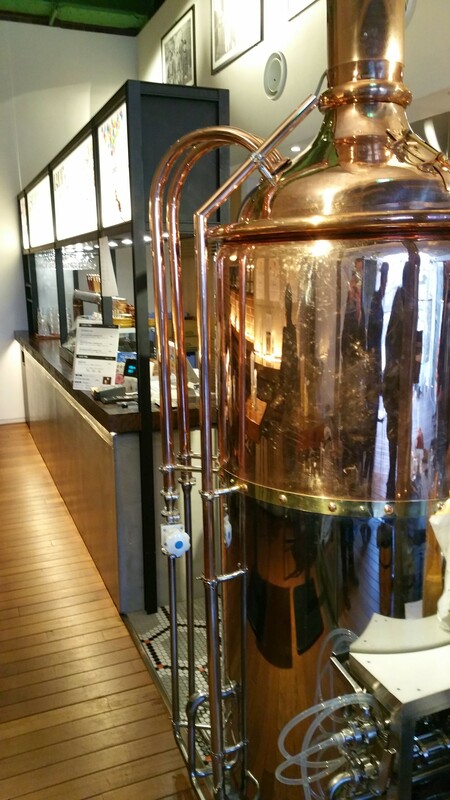 Yes, Hitachino brews their own beers here. There are ten taps available though they aren’t always on, as only seven were on during our visit. All beers are priced at ¥680, tax included, for either a glass or tumbler, though their sizes differ. When we went, we were lucky to try the Hitachino Nest Oak Barrel, an 8% sour beer that was lip-smackingly sour and a good introduction for our friends. This was followed up by the Hitachino Nest Saison Du Japan and then the Hitachino Cider, both new and welcome additions to the range. The problem though was glass size. There was only one and it wasn’t really big enough to justify the prices we were paying. A wide selection though price is a tad high. A delicious sandwich though will make your mouth tingle with spice. Drinking beer is hard work and requires food to sustain us. The food menu at Hitachino Brewing Lab consists of some sandwiches or some tapas-style snacks that, interestingly enough, are served up in one-cup sake cups and the price depends on the colour of the lid. The BBQ Smoked Beef Sandwich comes highly recommended if you like mustard, but be warned, it’s spicy. The tapas, well, we didn’t try any because they were a little on the pricey side, though they do come bundled with a beer of your choice if you fancy doing that. The staff also helpfully pointed out that there was free wifi when I pulled out my computer to send some emails and the password is located in numerous places around the bar. You too can brew your own beer here. For those wanting to brew their own beer, you can also do that at Hitachino Brewing Lab, though of course you do need to book in advance. The brewers will assist you in brewing the kind of beer that you want to try. 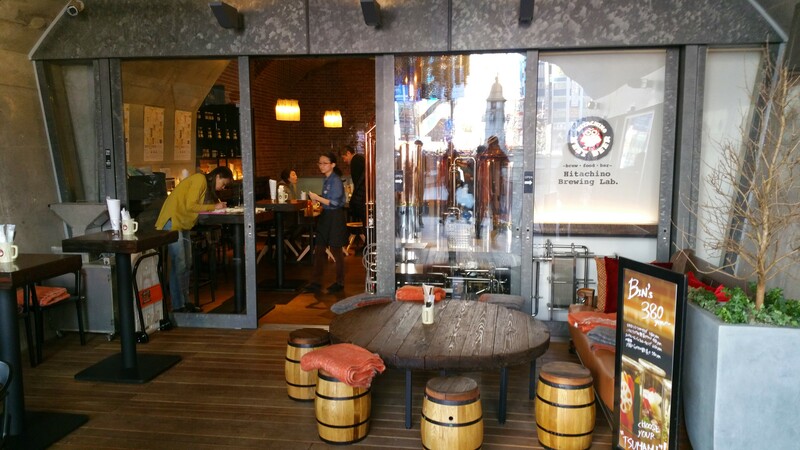 Phone in advance and you can then organise a small party of friends to brew, eat, and drink at Hitachino Brewing Lab. 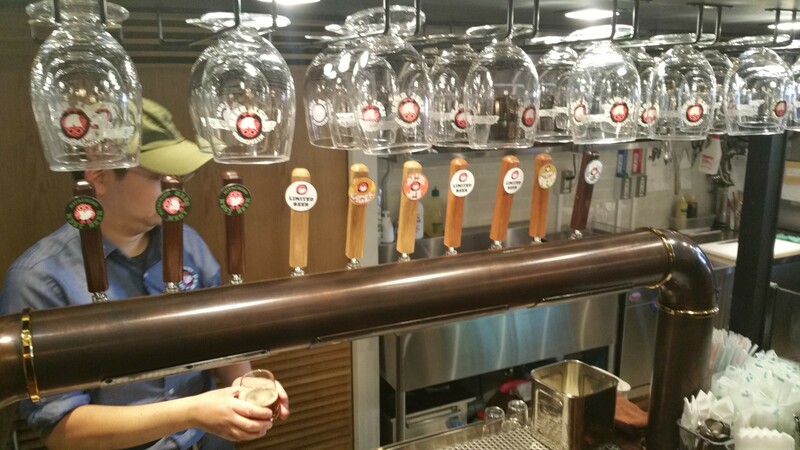 Hitachino Brewing Lab is a great place to try some special Hitachino Nest beers though it’s pricey by our standards for what you get. Come here to try the specials that are brewed in-house and for the some tasty sandwiches, but leave the regular beers to the bottles. 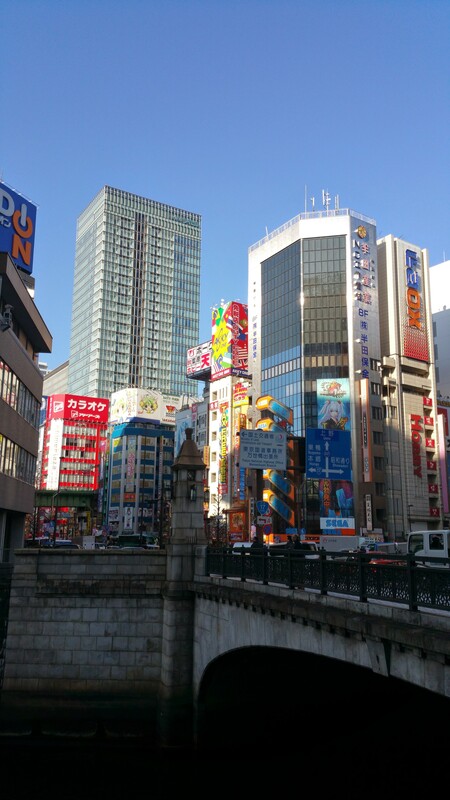 The closest station to Hitachino Brewing Lab is JR Akihabara and it is about a five minute walk from the central gates. Hi, regarding this – The brewers will assist you in brewing the kind of beer that you want to try. How long is the whole process and did they need advance booking or just walk-in is fine? Can’t find info on their website. Takes about a month to six weeks. I was there twice last year, each time in summer/early autumn, and enjoyed it very much. Sitting outside overlooking the river gives you a nice break from the rush and noise of Akihabara. Prices are a bit high, but for a central Tokyo location I cannot complain, as there are many places around there where you pay 700 yen for an Asahi/Kirin/…-and-other-like-water-taste-beers. Here at Hitachino you get very good beers, and the food is not bad either.